The Centre on June 14 deployed 600 additional paramilitary personnel, including 200 women, to Darjeeling to help the administration restore normalcy in the northern hill district of West Bengal. It also sought a detailed report on the prevailing situation from the state government, as reported by The Times of India. The protest for a separate statehood, Gorkhaland, has been going on in Darjeeling for the past one week. The protesters have pelted stones and bricks at the security forces who resorted to lathi charge in some areas. This is the first time in the last three decades that the Gorkhaland protesters faced retaliation from the state government. Apart from the paramilitary forces, State Armed Police Force (STRACO), Counter Insurgency Forces (CIF, especially raised to battle Maoists), seven companies of Central Armed Police Forces (CRPF) and six columns of the army have also been stationed in the district to maintain law and order. From Monday, the Gorkha Janamukti Morcha (GJM), which rules the Gorkhaland Territorial Administration (GTA), have been on an indefinite strike. The GTA is a semi-autonomous administrative body for the Darjeeling and Kalimpong hills in West Bengal. After three years of agitation for Gorkhaland, the GJM reached an agreement with the state government to form the body in 2012. 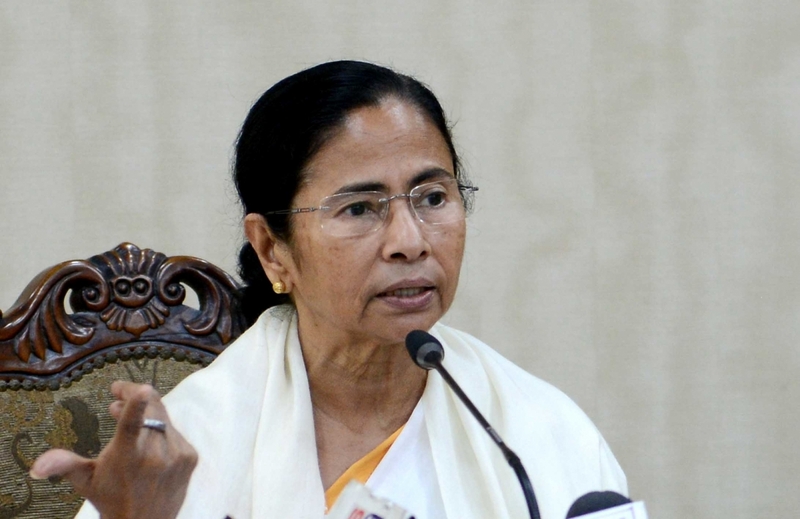 On May 16, West Bengal Chief Minister Mamata Banerjee announced to make Bengali language compulsory in all schools from Class I to Class IX, including private English-medium schools, of the state. 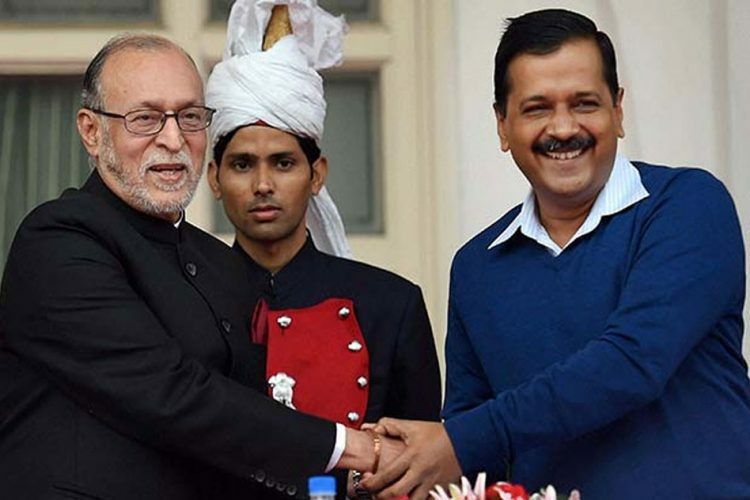 “If the student chooses Bengali, Hindi, English, Urdu , Gurmukhi, Nepali, Alchiki as a first language, he/she may opt for two other languages of their choice. One of the three languages would have to be Bengali. The two other choices are completely dependent on what the student chooses. This method would enable them to reach regional, national and international standards,” she wrote in her Facebook post. Even though most schools in the state had provisions for teaching language, Bengali as one of the three languages was not mandatory. 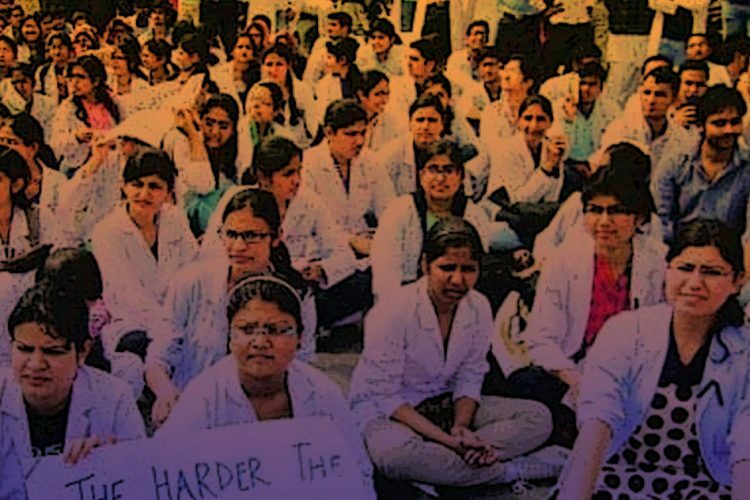 The government’s move had far-reaching political and social implications than Ms Banerjee could comprehend. 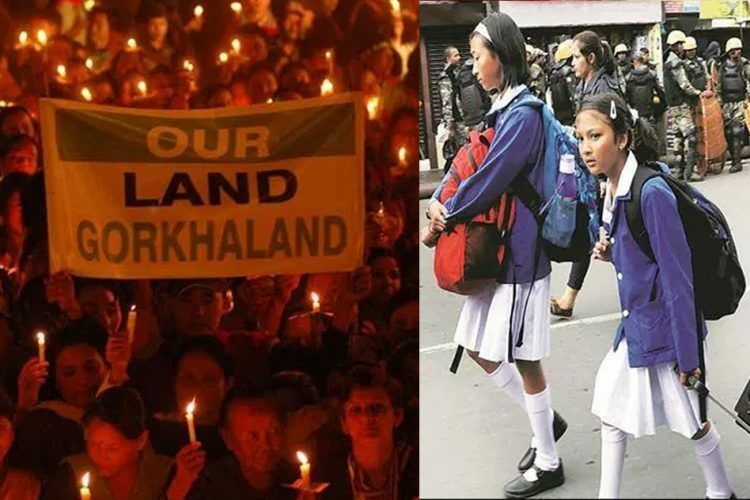 As people of the proposed state of Gorkhaland in the Darjeeling hills officially speak Nepali, the state government’s decision was met with massive hostility. 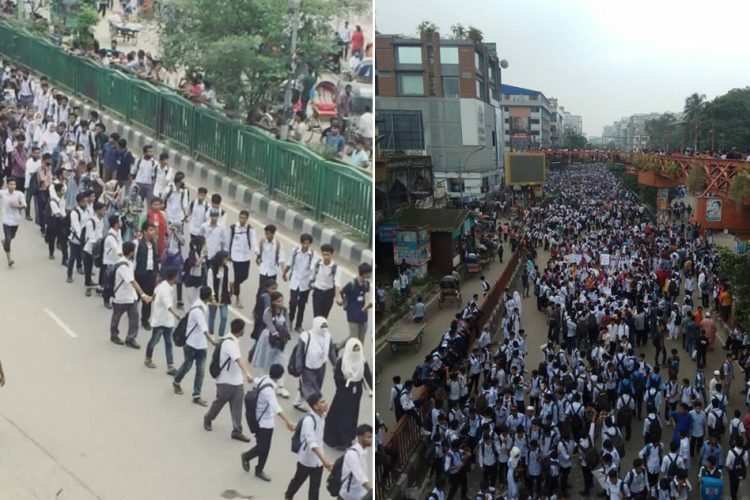 The GJM – a political party that campaigns for the creation of the separate state of Gorkhaland, comprising northern regions of West Bengal, including Darjeeling and territories of Dooars – raised opposition to the government’s decision to make Bengali compulsory and called for a protest on June 8. Protesters took to the streets, leading to clashes with security forces. As reported by The Hindu, on June 9, a 12-hour bandh was called upon by the GJM. It started at six in the morning against the what they claimed to be “indiscriminate police action against peaceful demonstration. CM Banerjee termed the bandh as “illegal” and said that strict action will be taken against the partakers. 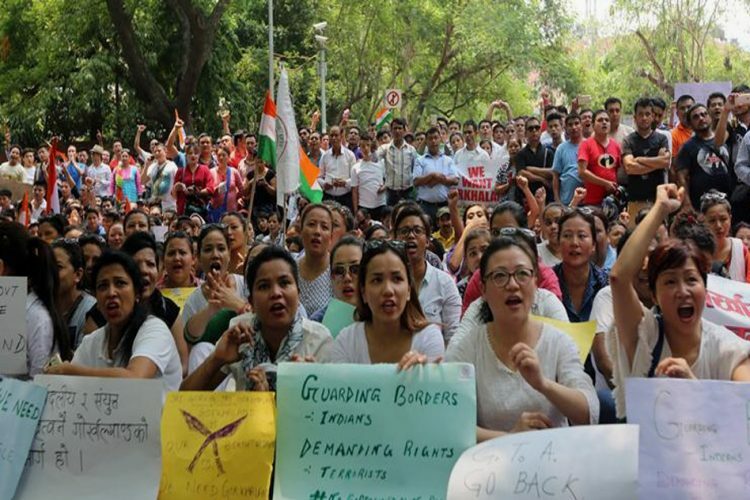 On June 12, the GJM called for an indefinite strike for a separate Gorkhaland. As reported by Hindustan Times, the office of the sub-assistant engineer of the state public works department (PWD) at Lebong Cart Road and the panchayat officer’s chamber in Bijanbari village near the hills were set on fire by the GJM. Section 144 (empowers a magistrate to prohibit an assembly of more than four people in an area) was imposed in some areas. Schools, colleges, transport, hotels and shops were exempted from the purview of the shutdown. Banks would remain open twice a week. CM Banerjee responded to the strike by ordering all government office employee to report for duty and any absence would result in salary deduction. On Tuesday, June 13, the protesters pelted stones at police forces as they were stopped from enforcing their shutdown in government offices. The police set up barricades and pickets in front of the offices and the GTA. Rapid Action Force (RAF), including a sizeable number of women officers. The crisis on Tuesday further deepened after several parties, including the GJM, the Gorkha National Liberation Front (GNLF), Gorkhaland Rajya Nirman Morcha, Bharatiya Gorkha Parisangh (apolitical), Communist Party of Revolutionary Marxists pushed for Gorkhaland and unanimously adopted a resolution in favour of it. The leaders of two other parties from the hills, the All India Gorkha League (AIGL) and Jan Andolan Party (JAP) also expressed their support for a separate state, even though their parties did not attend the meet. The Bharatiya Janata Party (BJP) too was a part of the GJM sponsored meet. However, Kailash Vijayvargiya, the national secretary and Bengal minder of the party, later clarified, “BJP was part of the meeting but did not sign the resolution,” as reported by The Times of India. The Mint reported that the GJM chief Bimal Gurung said he was in constant touch with the centre and was hopeful that its ally BJP would consider its demand for a separate state “compassionately”. Two interesting takes from the GJM sponsored meeting is the presence of BJP and GNLF. The former’s attendance puts the party in a tricky position as it is attempting to increase its political strength in West Bengal. Meanwhile, GNLF had partnered with CM Banerjee’s Trinamool Congress in the civic polls only last month. All the parties have strongly criticised the state government’s deployment of army in the hills. Their next meeting is scheduled to be held on June 20 to discuss the future course of action. On June 14, 600 additional paramilitary personnel, including 200 women, were also sent to the region. GJM chief, as reported by PTI, threatened to intensify the movement for a separate state and urged that tourists refrain from visiting the hills as inconvenience may be caused. He also threatened to halt the ongoing hydel projects in north Bengal. On June 15, the state police raided the office of GJM chief Gurung. The indefinite strike has proved detrimental for the economy of the Darjeeling with many tourists remaining stranded in the hill district. GJM chief has accused the state government of using the region as a source of income, mainly from tourism, without caring for the needs of the Gorkhas. Why do a certain section of Darjeeling want a separate state? The demand for a separate state for Gorkhas is almost 70 years old and it is a story of racism, and cultural and language differences. The demand for linguistic reorganisation mainly origins from the hilly Nepali-speaking areas of Darjeeling. After 35 years of rule in the area, they lost the territory to the British in the Anglo-Nepal War of 1816. As reported by The New York Times, the Nepalese inhabitants of the Darjeeling hills have been looked as migrants from Nepal and therefore “foreigners” even though their history in the area predates an independent India. The issue of a separate state was first raised in 1907. In the late 40s and early 50s, the undivided Communist Party of India (CPI) joined in the demand for a separate Gorkhaland, comprising of Sikkim, Nepal and Darjeeling. The Akhil Bharatiya Gorkha League (ABGL) too wanted the Hills be separated from West Bengal. In 1988, the Darjeeling Gorkha Hill Council (DGHC) was formed, under which limited powers were given to GNLF, only in Darjeeling district. In 2007, Bimal Gurung started the GJM. Termed as the ‘Next Robinhood’, he slowly gathered support for the formation of Gorkhaland. In 2012, when Mamata Banerjee came into power, she replaced the DGHC with Gorkhaland Territorial Administration (GTA) and made Gurung its chief. There was peace between the two parties until Telangana was formed in 2013 which sparked the demand for Gorkhaland. The recent stir began as CM Banerjee announced that Bengali language would be mandatory in all schools in the state. This was seen as a push for “regional nationalism” by the Gorkhas who have always maintained their stand that the predominantly Bengali-speaking state of West Bengal does not care about their needs and issues. Conclusively, the most basic explanation for the demand for a separate state by the Nepali-speaking population of northern regions of West Bengal is that even after all these years they still feel like outsiders. 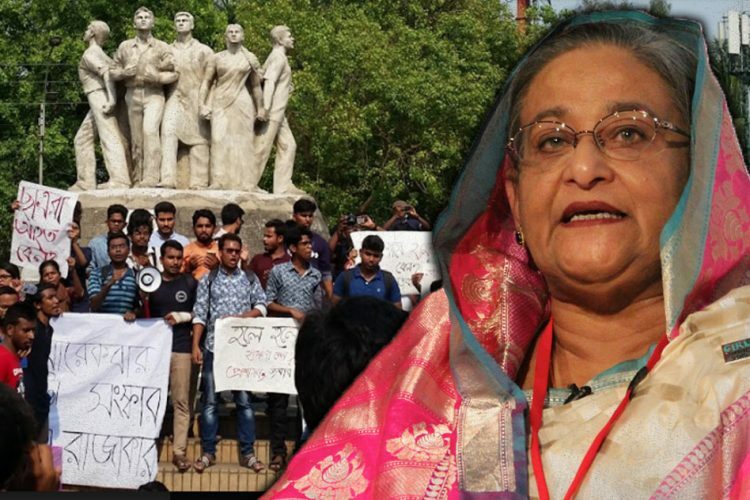 As the protests in the hill district turned violent, the West Bengal government responded with asking the Centre to deploy the army to bring law and order in the region. The police fired tear gas shells and lathi charged the protesting crowd who tried to break barricades and hurled bricks at the cops. CM Banerjee also called for CRPF personnel, including two-all women force. The CRPF on Monday said that the situation is slowly coming under control even as Section 144 of the CrPC was imposed in some areas, and 600 additional paramilitary forces were stationed in the district on Wednesday. As reported by Business Standard, West Bengal power minister Sovandeb Chatterjee termed the indefinite strike called upon by the GJM as ‘suicidal’ as they (GJM) are spoiling the life of Darjeeling people for ‘political gain’. CM Banerjee branded the protest as “abhorrent” and appealed to the public to maintain peace in the region. 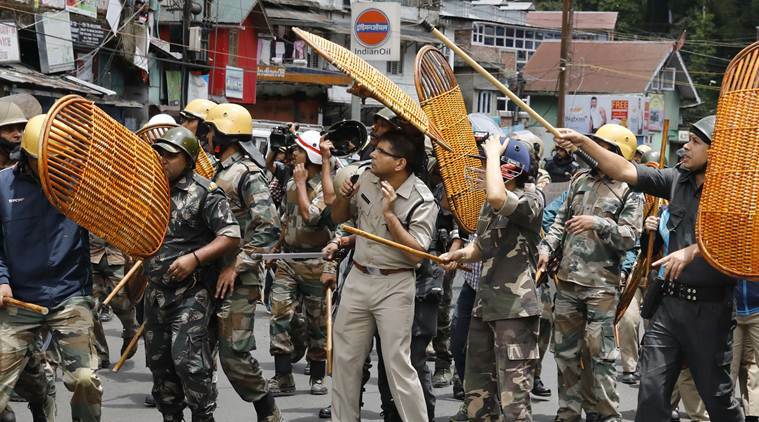 The home ministry said that it is closely monitoring the situation and is ready to offer any aid required by the state government to restore normalcy in Darjeeling, reported the Mint. 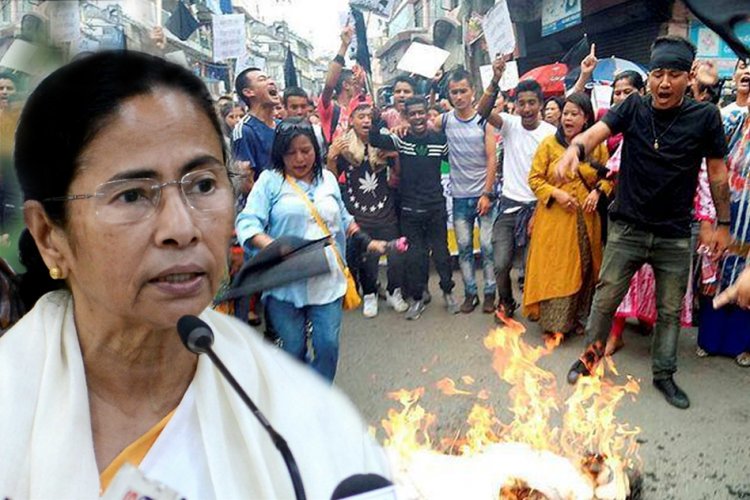 The CPI (M) state secretary accused the CM Mamata Banerjee government of treating the situation in Darjeeling akin to the Centre’s treatment of Kashmir.